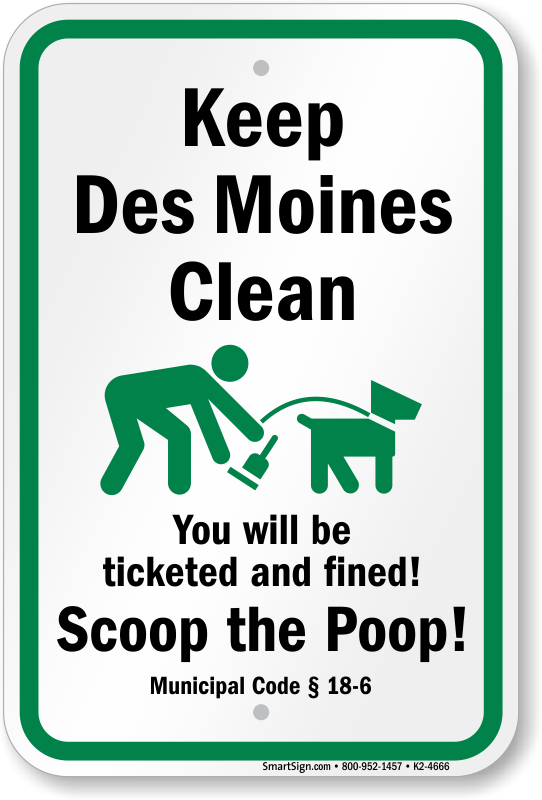 Dog Poop Sign For Iowa: Keep Des Moines Clean, You Will Be Ticketed And Fined! Scoop The Poop! Legend Keep Des Moines Clean, You Will Be Ticketed And Fined! Scoop The Poop!